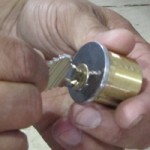 FC Locksmith provides the people of Ajax with a fast, reliable and affordable locksmith service. We’ve already helped a wide range of residents from Ajax, as well as others in the Durham region, and now we’re here to help you. Residential Locksmith – Whether you need a duplicate key cutting or assistance with a lockout, we’re here to help. In fact, the list of our residential services is extensive, including everything from post-burglary assistance and eviction services to patio door installation and peephole fitting. 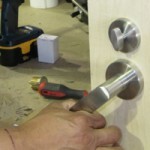 Commercial Locksmith – If you own a business in or around Ajax, we can help you too. We provide a specialized alarm fitting service as well as other handy locksmith tricks, such as master rekeying and safe installation. Automotive Locksmith – If you find yourself with a broken car key (traditional or electronic) or, even worse, without a key altogether, we can quickly get you into your vehicle and back on the road. Emergency Locksmith – All of our services are available to Ajax residents and business on a 24/7 basis, which means you need not fear about being locked out at any time of day or night. Whatever your locksmith needs, chances are we have the experience to provide exactly what you’re looking for. Our team of expert locksmiths is fully-trained and has years of experience dealing with not just common locksmith problems but also those that are a little more unusual. Next time you need an Ajax locksmith, be sure to call FC Locksmith.